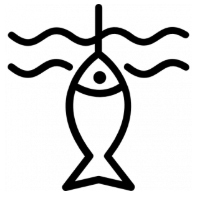 On the 3rd day, Larry thought of having some fish for his dinner and went on a fishing expedition at the lakeside. A slippery patch of moss-covered rock on the lakeside and that night’s menu was baked beans eaten while sitting in damp underclothes as his lake-soaked clothes hung dripping wet on a nearby tree branch. With night falling, Larry wondered how he could get his wet clothes to dry faster. Back home he’d just hang them at the window to catch the breeze…. And he wished that the log in the fire pit would burn more strongly. He was too cold from his unscheduled dip in the lake to blow on the embers and eating cold beans didn’t help either. If only there was a way to stoke the fire, then the log would burn better, and he’d be able to heat his dinner up too. 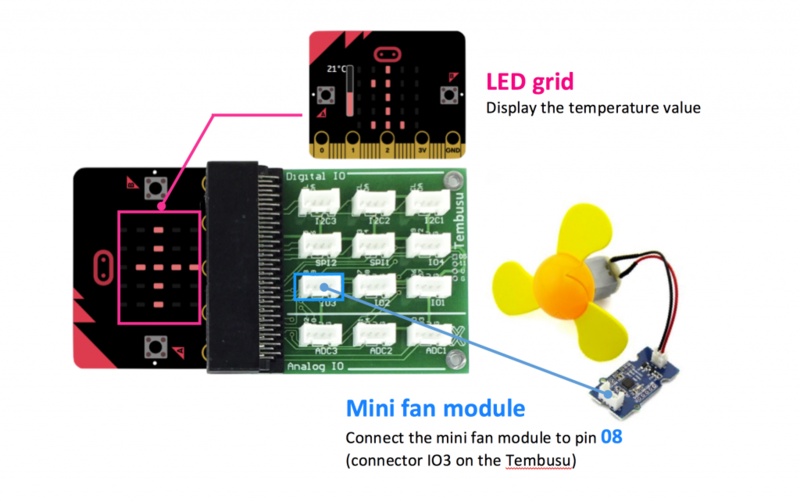 This challenge uses the micro:bit’s on-board temperature levels as an inference to the actual ambient temperature. When the temperature reach a pre-determined threshold (e.g. 37 degrees C), the fan will turn on automatically. Otherwise it will be turned off.